SERVPRO of SE Summit Co/Lake Twp has in house training for employees. The team is sketching the kitchen at our office. An accurate sketch streamlines the estimate writing process. SERVPRO of SE Summit Co/Lake Twp is a woman owned business. 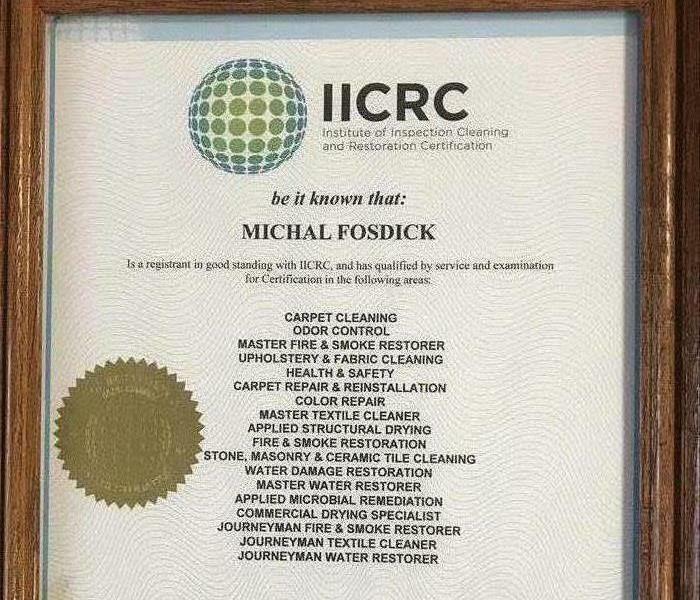 Owner, Michal Fosdick, has been in the industry for 22+ years. Her certifications speak for themselves and her notoriety speaks for itself. Hurricane Michael had devastating destruction throughout Georgia. SERVPRO of SE Summit/Lake Twp traveled to assist with the clean up efforts. Our travel crews spent over 38 days on the road helping make it "Like it never even happened."